The cost of communication varies across the continent. Fair competition is the key to bringing prices to affordable levels while proving efficient incentives to invest. 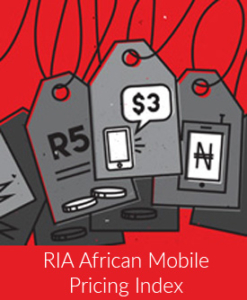 The Fair Mobile Index tracks price developments for mobile telecommunication across the African continent. The purpose is to establish price transparency for consumers, allow for the benchmarking of affordability across countries and to provide tools to assess the impact of policies and regulatory interventions.